There are hundreds of thousands of different known fungi with many still to be discovered and developed. 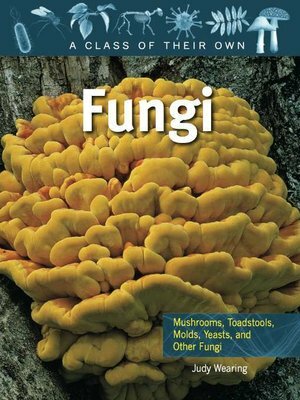 This interesting book features an examination of the four major groups: yeasts, toadstools, chytrids, and bread molds. Key characteristics of fungi are highlighted, such as spore production, fungi's need to feed, and their use of long, branching cells known as hyphae to absorb nutrients from the environment. Special sections explore such varieties as saprophytes, which feed on dead and decaying matter; parasites, which often do considerable harm to other species; and species that form mutualistic relationships with other species to form composite organisms, such as lichen. Case histories involving fungi include penicillin and the fight against disease, and genetically modified (GM) products in food technology.